Underdog stories are what makes sport as gripping as it is, when one team or individual can come from nowhere to win and cause a huge upset when no one had given them a chance. Here's football's biggest underdog upsets. Manchester City had already given up the Premier League title to rivals Manchester United by the time they faced top flight minnows Wigan in the 2013 FA Cup final, but there was still only supposed to be one outcome under the Wembley arches. There could be no comparison between the budgets of the two clubs, with Sergio Aguero, Carlos Tevez, Yaya Toure and David Silva all lining up for City. And yet, as is so often the case in the FA Cup, spirit and ambition won out on the day as Wigan emerged victorious. City struggled to get going throughout the 90 minutes, only staying in the game because Wigan had failed to make the most of their opportunities. Fortunately, the Latics weren't made to regret it and the magic moment finally did came courtesy of Ben Watson in stoppage time. The World Cup first made its way to football mad Brazil in 1950. The Maracaña was especially built for the tournament and the host nation was expected to win and be crowned champions. Although the round robin format meant there was no actual final, Brazil met fellow contender Uruguay in the last game to essentially make it one. And, having previously beaten Spain and Sweden by a combined score of 13-2, Selecao victory was widely expected. However, second half goals from Juan Alberto Schiaffino and Alcides Ghiggia saw Uruguay win the game and send the whole of Brazil into mourning. It was this humiliation that ultimately led to the country's all-white kits being replaced by the iconic new yellow, green and blue. Even when Greece stunned hosts Portugal in the opening game of Euro 2004, few believed it was much more than a one-off shock, while the Greeks only then narrowly escaped early elimination after taking just one further point from their remaining group games. A quarter final win over France was another big shock and a rare silver goal against a hotly fancied Czech Republic side resulted in Greece, drilled to tactical perfection by veteran German coach Otto Rehhagel, reaching the final against all odds. The element of surprise had long since been lost in a finale rematch with Portugal, but still Greece prevailed after a headed goal from Angelos Charisteas won the whole thing. The 1973 FA Cup final pitted almighty Leeds, led by legendary manager Don Revie, against Second Division side Sunderland, whose last major trophy had been a cup triumph in 1937. Ian Porterfield will always be remembered as the goalscorer, but the real hero was arguably Black Cats goalkeeper Jimmy Montgomery, who pulled off save after save to keep Leeds at bay, including arguably one of the greatest in football history. In that particular instance, the Sunderland local had palmed away a header from Leeds full-back Trevor Cherry before springing back to his feet and launching himself to somehow divert Peter Lorimer's goal-bound drive onto the crossbar and away. 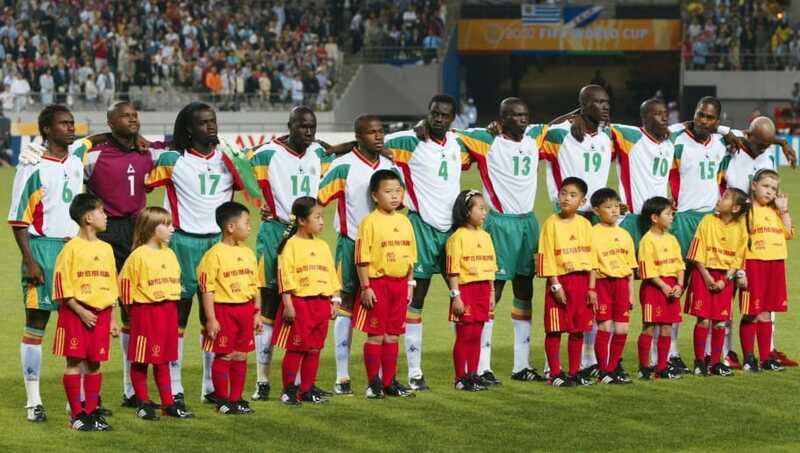 Senegal went into the 2002 World Cup, their first ever appearance on the planet's biggest international stage, knowing they would be facing holders and reigning European champions France in the tournament's opening game. The French lined up with the likes of Thierry Henry, Patrick Vieira, Marcel Desailly, Lilian Thuram and Fabien Barthez. Zinedine Zidane had to sit out through injury, but it was a team that should still have been strong enough to beat a side whose only player of relative note was a young El-Hadji Diouf. Instead, France struggled to find their rhythm and Papa Bouba Diop, later of Fulham and Portsmouth, scrambled home the only goal of the game after half an hour. France crashed out in the group stage, while Senegal equalled an African record by reaching the last eight. There was at least some African precedent for Senegal to call upon in 2002 after Cameroon had similarly stunned holders Argentina, complete with talisman and captain Diego Maradona, in the opening game of the 1990 World Cup. A gravity defying leap from Cameroon forward Francois Omam-Biyick, during which time seemed to stand still, combined with a fumble from Argentina goalkeeper Nery Pumpido, saw the Indomitable Lions stun their South American opponents and the wider world. Argentina still went all the way to the final, but it was Cameroon, spurred on by the evergreen Roger Milla, that really captured the imagination in that memorable summer in Italy. Liverpool relied on heroic defending and a huge slice of fortune with Luis Garcia's 'ghost goal' in a tense clash with Chelsea to even reach the 2005 Champions League final in Istanbul. It was widely expected to be a comfortable night for a Milan side featuring stars like Andriy Shevchenko, Kaka and Clarence Seeforf, so when the Rossoneri left the field at half-time three goals up and cruising towards a seventh European crown, few were surprised. Legend has it a rousing chorus of 'You'll Never Walk Alone' was audible in the Liverpool dressing room at the interval and the Reds were soon fighting back. Three goals in six minutes sent the game to extra-time, with Jerzy Dudek ultimately the hero after a penalty shootout. Italian players were greeted by angry fans hurling rotten tomatoes when they arrived back home from England in 1966 after crashing out of the World Cup at the hands of North Korea. The Asian nation was competing at its first ever international tournament and the team had only kept alive their chances of progressing beyond the group stage with an unlikely late equaliser in the second game. Italy needed just a point to secure their advancement, but Pak Doo-ik wrote his name into the history books with a 42nd minute goal to stun the two-time previous champions. The North Koreans then threatened to do the same against Portugal in the quarter final, racing into a 3-0 lead before Eusebio intervened and spared further European embarrassment. Italy were stunned by a massive underdog once more at the World Cup in 2002, this time by a team from south of the Demilitarized Zone as South Korea prevailed on home soil at the Azzurri's expense. Prior to 2002, South Korea had never won a single World Cup game across five previous tournaments. But the co-host nation stunned Poland and Portugal in the group stage before Ahn Jung-hwan's golden goal winner ended Italy's tournament in the round of 16. Ahn was actually contracted to Italian side Perugia at the time and was infamously sacked by the club's volatile president as a result. He probably cared little, though, as South Korea proceeded to then reach the semi-finals after pulling off a similar upset against Spain. For a long time it was a common myth that England's 1-0 defeat at the hands of the United States at the 1950 World Cup was instead reported as a 10-1 win by English newspapers back home because it was assumed that the score-line wired back from Brazil was a typing error. England had never previously played at the World Cup as a result of a FIFA boycott but had enjoyed a good run of results leading up to the tournament. On the other hand, the American team was made up of part-timers including a teacher and a former baseball player. England left star winger and later inaugural Ballon d'Or winner Stanley Matthews out of the team, an ill-advised move in hindsight, and Haitian immigrant Joe Gaetjens scored the only goal of the game for the USA in the first half. This article is brought to you by the film Fist Fight. In cinemas March 3rd.